The goal of Granite State Gifted is to provide support, encouragement, and resources for parents of gifted and twice-exceptional children and teens in the southern NH area and beyond. 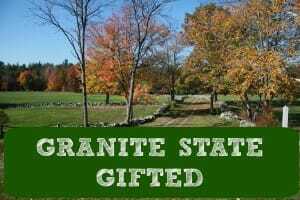 Granite State Gifted is a supportive community for parents of gifted and twice-exceptional children (ages 0-17). Whether your child is homeschooled, unschooled, after-schooled, or attends public or private school, your family is welcome here. Granite State Gifted holds weekly meet-ups, monthly parent dinners, and online discussion and support. Ultimately, Granite State Gifted hopes to provide field trips, events, and speakers.